Off to London! Mayor Kelly says good-bye to the delegation who will offer Chicago as permanent UN headquarters. The just-concluding NATO summit reminded me of a story I’d come across in an old copy of the Tribune. The date was December 6, 1945. On that date, Chicago was in the running to become the headquarters of the brand-new United Nations. Let’s go back and revisit that time. The League of Nations had been unable to prevent World War II. That war had lasted nearly six years and cost tens of millions of lives. The UN was supposed to be an improved replacement for the old League. For now, the UN was meeting in London. Most member countries favored putting the permanent headquarters in the United States. But where? Among the sites being considered were Boston, Philadelphia, San Francisco, New York City, Westchester County (New York)–and Chicago. So a four-man delegation from Chicago traveled to London to meet with UN officials. Before boarding their plane for the trip home, they talked with reporters. 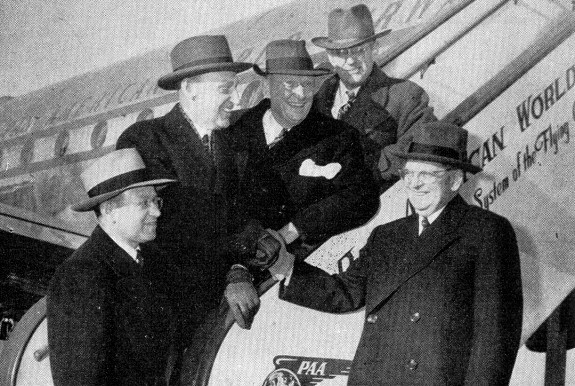 The Chicagoans were upbeat. Getting the UN headquarters for the city appeared to be a done deal. “We are more convinced than ever that Chicago meets every requirement,” said Corporation Counsel Barnet Hodes. The war had been over less than six months, and much of Europe was still devastated and poor. UN officials were frankly worried about the high cost of living in the United States. That was one area where Chicago had an advantage over other American sites. “We impressed on these people that they can get more for their money in Chicago,” labor leader William McFetridge said. Housing, food, recreation, and education were cheaper than in any of the other cities. Foreign diplomats could live very well in the Windy City. The Chicago delegation had another reason to be optimistic about landing the prize. The city had its own “inside man” at the UN. 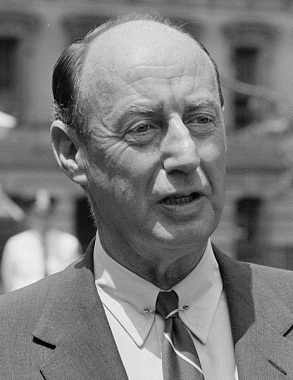 Adlai Stevenson, an up-and-coming Chicago lawyer, was then serving in London as deputy U.S. delegate to the UN. Stevenson wanted to get into politics. Helping make Chicago the Capital of the World would also help young Adlai’s career. If the UN did come to Chicago, where exactly would it be located? Rumors were already circulating that the site would be Northerly Island. That would be close to downtown, yet separated from the mainland for security purposes. Build an airstrip there, and the delegates could fly in! As we all know, Chicago never did become the UN headquarters. But after the experience of the last few weeks, maybe that’s just as well.